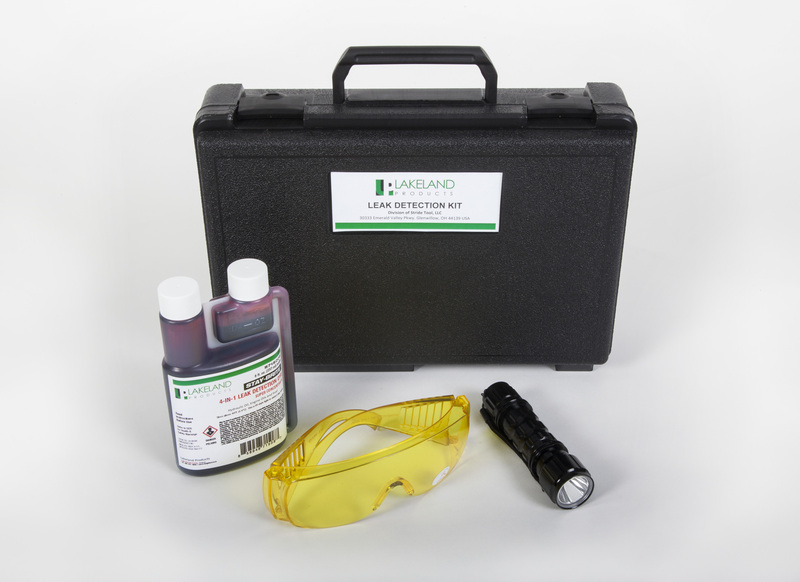 UV light – even small leaks glow a bright yellow and are visible in brightly lit conditions. • Quickly find and locate oil leaks in any hydraulic system. • Eliminates technician having to used soap-and bubble leak detectors at every connection– our concentrated dye covers the entire system from the inside out. • Proven product: OEM specified for major automotive dealer service departments for leak detection along with our coolant and refrigerant leak detector products. • Concentrated dye: one 8 oz bottle treats 40 gallons (1 oz per 5 gallons of oil). • Homogeneous: when mixed in oil it is non-settling and stays in suspension permanently; will not get caught in filtration. No harm to systems. • Great “value added” and point-of-purchase product for fluid power customers. Eliminate call-backs for leaks due to improper installations, etc. • Low cost dye refills available.